Payroll Outsourcing companies in Bangalore provide flawless payroll management along with some other benefits, such as, leave management and statutory compliance. Even if you have only two employees in your company then also you need to be accurate and honest in paying them. For the big companies where thousands of people work managing the payroll system is a big task. Companies hire special team for this job who can keep the daily records of the payment made to the employees and calculate the monthly payment of all of them. However, in the recent years the idea of hiring Payroll Outsourcing companies in Bangalore becomes more important among various industries, because business owners have found it an efficient and cost-effective solution for their companies. The Payroll Outsourcing companies in Bangalore hire the experts of payroll management who are toppers of various accounting courses and masters of calculations. Moreover, they use highly advanced accounting software for such vast and complex calculations. Thus, you can easily expect accurate and honest calculation from them. They take nominal time to calculate huge payments and offer you the correct report on time. These experts are well aware of the modern trend of payroll management. They are also aware of the individual payment structure of your firm and work according to the same. They take care of all the accounting entries, vendor payments, tax compliances, employee reimbursement, bank reconciliation, invoices and other types of payments that you need to make in your business every month. You can expect from them a detail MIS report every month so that you can keep a record of the same. From the date of joining till the date of leaving the company; each employee’s payment detail is maintained and checked by the experts and you can also monitor the same through web payroll system. Such a versatile service can be provided by the most skilled professionals only. As a responsible employer it is your duty to take care of the needs of your employees. All their needs can be fulfilled rightly when you pay them correct and without any error. When you hire payroll outsourcing services, you can ensure them correct payment without any error. You can pay them on time. Whenever they wish to leave your company you can ready their payment within few days because of an advanced payroll management system. Thus, your reputation as a responsible employer will be intact. You can have solutions of zero errors when you outsource such kind of services from a professional team. Appointing an in-house team for a special task can be a hectic job; especially if you fail to choose the most efficient workers for this section. When it comes to payroll management, you should not take any chances. This is the reason you should outsource the service of payroll management through web payroll system instead of appointing an in-house team of accountant or payroll experts. The service is most cost-effective and useful than having an in-house department for this job. 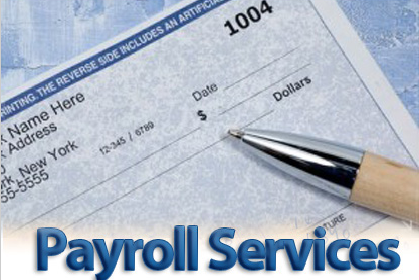 You can get end-to-end solutions from the professional team of payroll experts. Outsourcing has more specialized staff than in-house payroll team and if a employee leaves the company from the payroll department , it gets difficult for them to hire a new employee sooner and train him. Technology which is used by in-house team provides limited services whereas outsourcing companies keep on updating technologies and they have trained staff to use them.